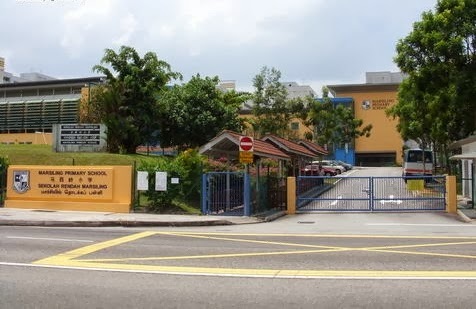 Marsiling Primary School is located at 31, Woodlands Center Road in Singapore 738927. It is enclosed within the Woodlands Region. Woodlands, also referred to as Woodlands New town, is a suburban town situated at the northern section of Singapore. It is known for its countryside lifestyle where trees, tranquility and animals are incorporated into the daily routines of the locals. Nearest MRT is Marsiling MRT and the closest bus interchange is Woodlands regional Bus Interchange. Amenities in the area include Woodlands Civic Center, Causeway Point and Woodlands Point. Some of the schools close by are Fuchun Primary School, Woodlands Secondary School and Si Ling Secondary School.